In honor of April Fool’s Day I have decided to share a few kitchen clutter magnets disguised as organizing products. They are so tempting in the store, but get them home and they tend to take up drawer space and collect dust. Here is a collection of some of my favorites! 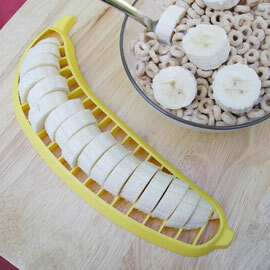 Banana cutter – Now really I believe a butter knife works great… Or use your finger, always available, never confused with clutter! 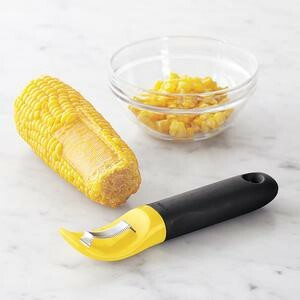 Corn shucker – Unless you are shucking obscene amounts of corn, I would again suggest the good ol’ knife. A bit sharper this time, but nothing over a steak knife necessary. 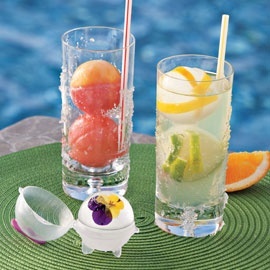 Ice ball maker – I don’t even really know what to say about this one. I can almost say with complete certainty that this is a very nice idea, but you will never use them – ever! 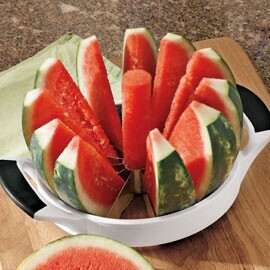 Melon slicer – Knife. Seriously. This looks like it would work really well, until you try to use it. Avocado Slicer – This will sound familiar – a knife! 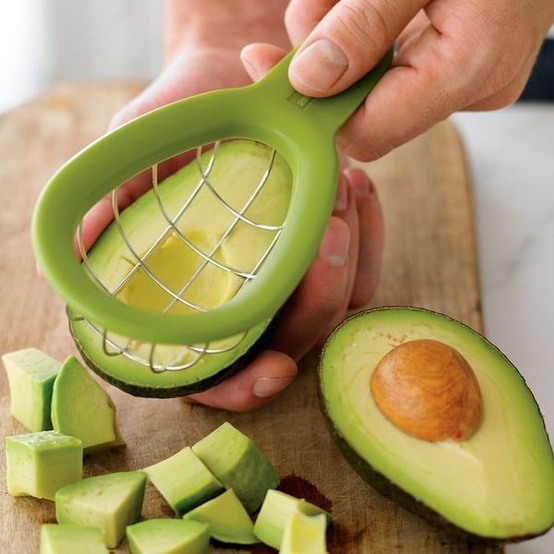 The avocado is probably one of the easiest fruits to cut and the avocado slicer, although a good idea, will take up a lot of drawer space and do little to improve your life. Unless you also need mini lacrosse masks, which I’m pretty sure they could substitute for! 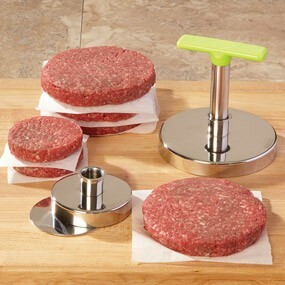 Burger Patty Makers – A nice idea, but you would forget it’s in the cabinet when you were making burgers and go the traditional make a ball and flatten it out route. Or if you were craving a rounder burger you could always use a round bottle, glass or container as an outline and cut around it. Again, a knife. 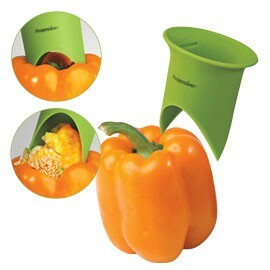 Bell Pepper Corer – As with the melon slicer. This sounds like a good idea when you see it in the store then you realize the knife works just as well and maybe even a little better and the bell pepper corer moves further and further back in the drawer. Novelty Ice cube trays – ok, confession, I used to own novelty ice cube trays. However, here’s the dirty truth about ice cube trays, you won’t EVER use them. 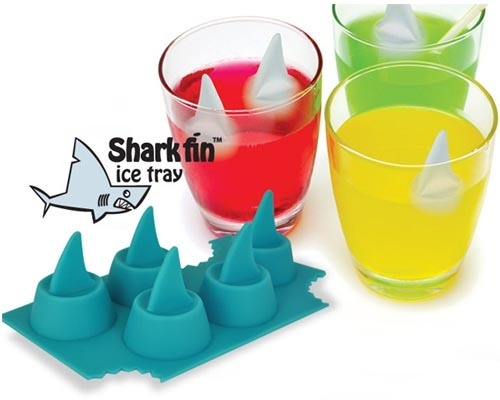 These little sharks are especially cute, but the ice starts to melt IMMEDIATELY after about 2 seconds in the beverage and they are much smaller than normal ice cubes so you have to use 3 times as many and mine were especially hard to get out of the trays. So on our last move they were donated. Who wants to spend the weekend cleaning the house… anyone?? NO! 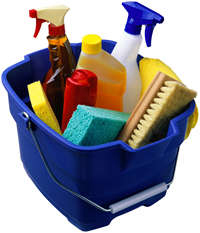 I have created a system at my home that includes small cleaning projects every day to keep the house in tip top shape and I never feel like I have to spend a whole day cleaning the house from top to bottom. I have attached the checklist I use so you can print it out and try it too. I am a very visual person and as a result a lot of my organizing systems revolve around color. It is easy to identify and associate. I use it for my filing system, the hangers in the closet I share with my husband, my keys. Color-coding items in your home is a great way to get yourself and your family organized. pick a color for each family member and stick with it. Find lunch bags that color, create a message center with color-coded notes or board for each member. Use that color pen for each member on the family calendar or on the smartphone to indicate activities and events. Paint the top of keys with nail polish to indicate the front door, back door, office etc. 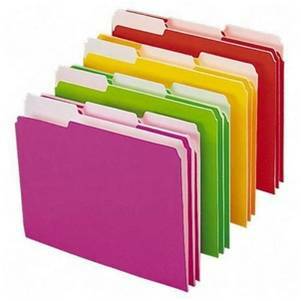 File folders – use a different color for each category: green for financial/banking, blue for medical, red for important documents. Storage bins – keep them clear so you can see the contents, but use different color duct tape to indicate what category or person the bin’s contents belong to. Red for Christmas, Orange for Halloween, pink for valentines day, green for your daughter’s outgrown clothes and yellow for your son. Spice bottle labels – think about using different colors for spices used in sweet recipes and another color for savory recipes.